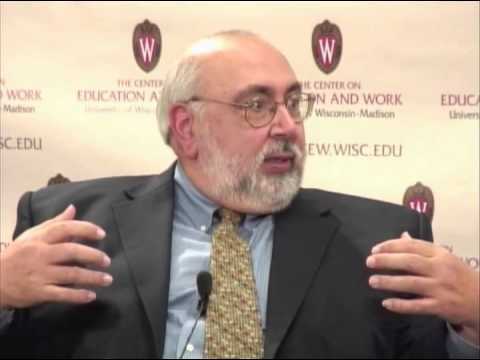 Mark Savickas is a prolific writer on careers development and often found representing ideas such as constructivism and narrative approaches to careers theory. That said it is not always apparent what Savickas’s theory is, Savickas is not so obviously linked to one particular idea as other theorists are. That said I want to attempt in this article to pull some threads together and summarise someone I see as a very important theorist in the realm of careers development. Savickas has a sustained critique throughout his work against traditional forms of careers guidance, best summed up by the ideas of Parsons and Holland. This critique is routed in both how the world of work has changed and how the way individuals approach the world of work has changed. Savickas in his work is keen to criticise logical positivism, a view of knowledge by which through rational investigation we can arrive at fixed results. This kind of approach can be seen through type indicator approaches to personality such as those put forward by Holland and Myers-Briggs. This reduces to a letter, a code that sums up the individual, and the task of the professional is, similarly to that of the research scientist, to find the right result. Savickas counters this by taking a post-modern view of reality that underpins his approach to career, reality is not determined in codes and easy classifications, instead reality is subjective, it is perceived, it is what the individual sees for themselves not what the test result concludes. Life design is built on a similar shift in thinking for Savickas. Savickas often discusses how the early twentieth century in particular looked to an idea of a pre-existent self that was fixed inside the individual and needed to be actualized, brought into being to lead to the most fulfilled life, Savickas points out that we now thinking in terms of constructing and making ourselves who we are, our identity is not fixed but is a project which we develop. This project is not merely asking “what do I want to be” but is one that is made in a social context as the individual collides with society, developing their sense of identity through social interactions. Savickas draws a distinction between self-actualization approaches to careers interventions and self-construction ones noting that he views the self-construction approach as being the most pertinent for the post-modern world in which we live. Savickas in his work tends to focus on ideas around purpose, meaning and usefulness. These key constructs fit in with the discussion of his ideas we have had above. To access these ideas Savickas takes a narrative approach which focuses on looking within ourselves for guidance. That is to say by noticing the themes and patterns in our narrative and focussing on what we think about them we can begin to open up a new chapter on our future. This particular focus on reflecting on our past rather than testing our abilities or our present type is key for Savickas as how we move towards constructing and moving towards meaningful futures for us. I have found trying to write up Savickas’s ideas difficult to engage with, I felt I knew what he thought without really being able to articulate it so thinking in terms of these categories I have found very helpful but this is only my attempt at summarising him. In terms of putting Savickas into practice it is his post-modern approach to reality that is the most challenging. As soon as you stop thinking that you can assess and rate someone you are trying to engage with you find the difficulty and excitement of Savickas’s approach. You no longer have the security of thinking “if I can get the client to engage with this pre-packaged solution” everything will be ok.” This makes both the experience for the practitioner and the client harder because it has less certain and requires more skill from both parties but liberating because it offers more possibilities. The other challenge which Savickas makes less clear is around realism, though you may not want to assess your client someone else will want to at some point through a selection process, making sure that clients are prepared to focus on realistic opportunities with robust application techniques is one of the key challenges for anyone looking at a more post-modern view of careers. Unless you entirely jettison targets and outcomes which is legitimate from Savickas’s perspective at the least. Savickas, M. L. (2005). The theory and practice of career construction. Career development and counseling: Putting theory and research to work, 1, 42-70. Savickas, M. L., Nota, L., et al. (2009). Life designing: A paradigm for career construction in the 21st century. Journal of vocational behavior, 75(3), 239-250. This entry was posted in Careers Theory, Theories Every Careers Adviser Should Know and tagged career, constructivism, Mark Savickas, narrative, post-modern, theory. Bookmark the permalink. Reblogged this on Inteligência Competitiva por Alfredo Passos. From what I have heard from Mark Savickas, the Life Design process is a first step for someone who is unsure about what they want for their future. He does not tell us at all to throw away the other steps. Once the person has some clarity about the direction they want to go in, then all the other aspects of career coaching/guiding/educating can become part of the next steps… so work search tools and techniques (interview prep, etc.) to help the person get the work they have identified are still part of the process.